Fabric creation began in ancient times when primitive peoples used flax fibers, separated into strands and woven into simple fabrics colored with dyes extracted from plants. Innovators developed synthetic fabrics to overcome some of the inherent limitations of natural fibers. Cotton and linens wrinkle, silk requires delicate handling, and wool shrinks and can be irritating to the touch. Synthetics delivered greater comfort, soil release, broader aesthetic range, dyeing capabilities, abrasion resistance, colorfastness, and lower costs. The man-made fibers--and a steadily growing palette of synthetic additives--made it possible to add flame-retardancy, wrinkle and stain resistance, antimicrobial properties and a host of other performance improvements. Levi Strauss and Jacob Davis in 1873 invented blue jeans in response to the need for laborers for durable men's workwear. 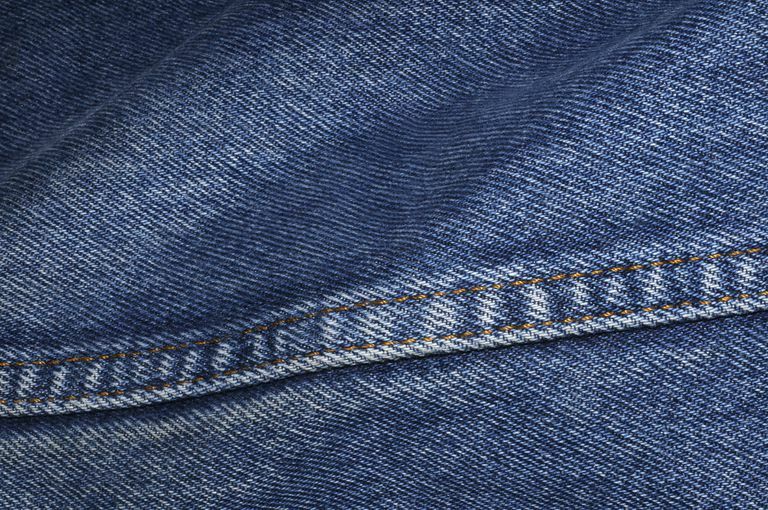 The traditional fabric used in blue jeans is denim, a durable cotton twill textile. Historically, denim was made of silk and wool in Nimes, France (hence the name "de Nim"), and not of the all-cotton variety we are familiar with today. In the 1980s, Sally Fox's passion for natural fibers led her to reinvent the naturally colored cotton used in cotton fabrics, mostly as a response to the pollution caused via the bleaching and dying processes performed in coloring cotton fabrics. Fox crossbred brown cotton, which also produced green cotton, with the aim to develop longer fibers and richer colors. In turn, Fox's organic discoveries help to preserve the environment and can be found in everything from underwear to bed sheets. GORE-TEX® is a registered trademark and the best-known product of W. L. Gore & Associates, Inc. The trademarked product was introduced in 1989. The fabric, based on a Gore-held patent for a membrane technology, is specifically engineered to be breathable water and wind-proof material. The phrase "Guaranteed to Keep You Dry®" is also a Gore-owned registered trademark, part of the GORE-TEX® warranty. Wilbert L. and Genevieve Gore founded the company on January 1, 1958, in Newark, Delaware. The Gores set out to explore opportunities for fluorocarbon polymers, especially polytetrafluoroethylene. The current CEO is their son Bob. Wilbert Gore was posthumously inducted into The Plastics Hall of Fame in 1990. American chemist Stephanie Louise Kwolek in 1965 invented Kevlar, a synthetic, heat-resistant material that is five times stronger than steel--and strong enough to stop bullets. It's also used to make boats. Kwolek was researching lighter material to use in tires that would give cars better fuel economy when she discovered Kevlar. A distant cousin of nylon, Kevlar is made only by DuPont and comes in two varieties: Kevlar 29 and Kevlar 49. Today, Kevlar is used in armor, tennis racquet strings, ropes, shoes and more. Scottish chemist Charles Macintosh in 1823 invented a method for making waterproof garments when he discovered that coal-tar naphtha dissolved india rubber. He took a wool cloth and painted one side with the dissolved rubber preparation and placed another layer of wool cloth on top. The Mackintosh raincoat created from the new fabric was named after him. British scientists John Whinfield and James Dickson in 1941--along with W.K. Birtwhistle and C.G. Ritchiethey--created Terylene, the first polyester fabric. The durable fiber was once known as uncomfortable to wear but inexpensive. With the addition of microfibers that make the fabric feel like silk--and the rising price tag because of it--polyester is here to stay. Rayon was the first manufactured fiber made from wood or cotton pulp and was first known as artificial silk. Swiss chemist Georges Audemars invented the first crude artificial silk around 1855 by dipping a needle into liquid mulberry bark pulp and gummy rubber to make threads, but the method was too slow to be practical. In 1884, French chemist Hilaire de Charbonnet patented an artificial silk that was a cellulose-based fabric known as Chardonnay silk. Pretty but very flammable, it was removed from the market. In 1894, British inventors Charles Cross, Edward Bevan, and Clayton Beadle patented a safe practical method of making artificial silk that came to be known as viscose rayon. Avtex Fibers Incorporated first commercially produced artificial silk or rayon in 1910 in the United States. The term "rayon" was first used in 1924. Wallace Hume Carothers was the brains behind DuPont and the birth of synthetic fibers. Nylon--which was patented in September 1938--is the first completely synthetic fiber to ever be used in consumer products. And while the word "nylons" became another word for hosiery, all nylon was diverted to military needs only when the United States entered World War II. The synthesis of polymers that led to the discovery of nylon led to the discovery of neoprene, a highly resistant synthetic rubber. In 1942, William Hanford and Donald Holmes invented polyurethane. Polyurethane is the basis of a novel type of elastomeric fiber known generically as spandex. It is a man-made fiber (segmented polyurethane) able to stretch at least 100% and snap back like natural rubber. It replaced the rubber used in women's underwear. Spandex was created in the late 1950s, developed by E.I. DuPont de Nemours & Company, Inc. The first commercial production of spandex fiber in the United States began in 1959. Swiss engineer and mountaineer George de Mestral noticed upon his return from a hike in 1948 how the burrs had clung to his clothing. After eight years of research, Mestral developed what we know today as Velcro--a combination of the words "velvet" and "crochet. "It's essentially two strips of fabric--one made up of thousands of tiny hooks, and the other with thousands of tiny loops. Mestral patented Velcro in 1955. Researcher Waldo L. Semon in 1926 invented a way to make polyvinyl chloride (PVC) useful when he created vinyl--a synthetic gel that was remarkably similar to rubber. Vinyl remained a curiosity in the laboratory until it was first used as shock absorber seals. Flexible vinyl was also used on American synthetic tires. Further experimentation led to its use in World War II during the natural rubber shortage, and it is used now in wire insulation, as a waterproofing element and more. In 1970, Toray Industries scientist Dr. Miyoshi Okamoto invented the world's first microfiber. A few months later, his colleague Dr. Toyohiko Hikota succeeded in developing a process that would transform these microfibers into an amazing new fabric: Ultrasuede--an ultra-microfiber often called a synthetic substitute for leather or suede. It's used in shoes, automobiles, interior furnishings, juggling balls and more. The composition of Ultrasuede ranges from 80% non-woven polyester and 20% non-fibrous polyurethane to 65% polyester and 35% polyurethane.